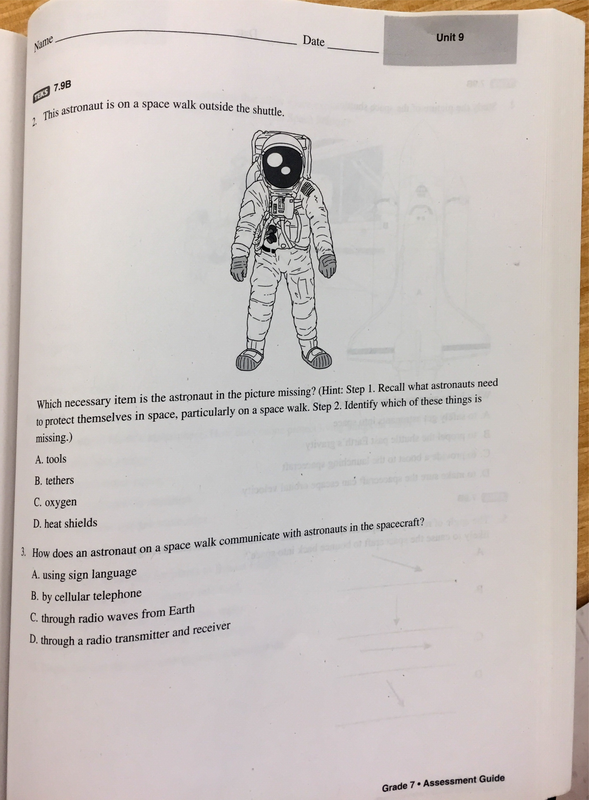 Which item is the astronaut in the picture missing? How does an astronaut on a space walk communicate iwth astronauts in the spacecraft? 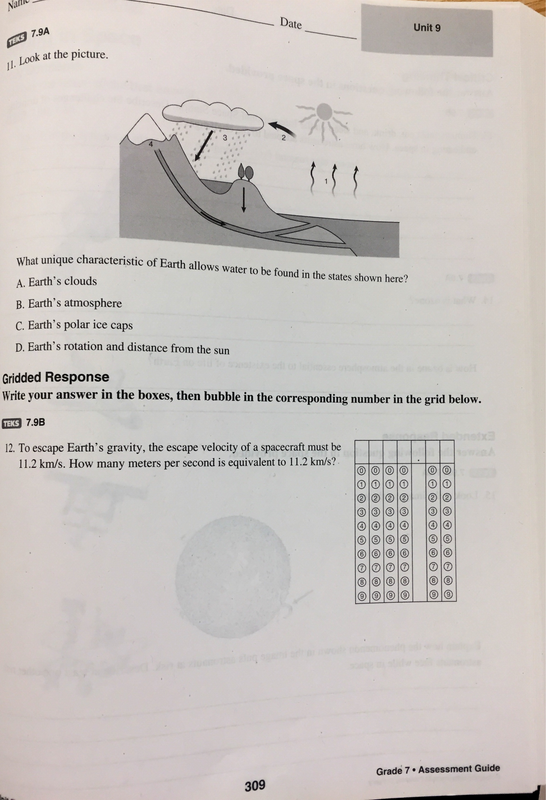 From the picture, what is the unique characteristics of Earth allows water to be found in the states shown here? 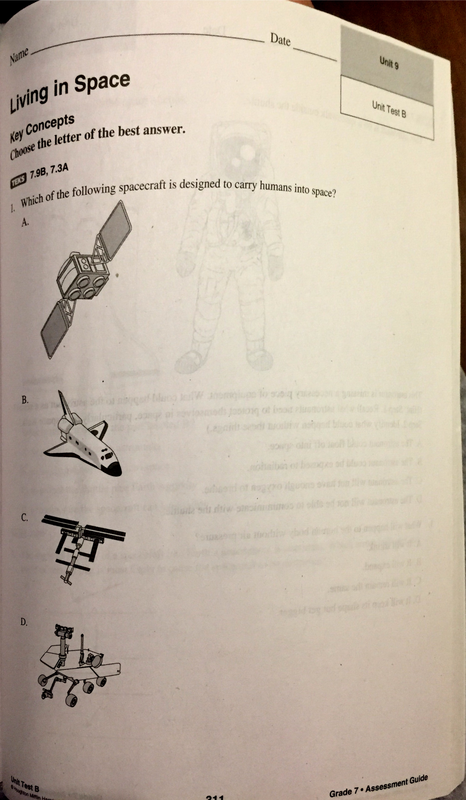 Which of the following spacecraft is designed to carry humans to space?